What type of used books sell best on Amazon? Are there specific books that sell better than others? Are there specific genres of books or types of books you should be scouting for? These are all important questions to maximize the efficiency when buying and reselling books on Amazon. The following is a cheat sheet of the best and worst books to focus on when you buy and resell used books. Keep in mind that these are a very general cumulation of my experience. Other sellers may have had a completely different experience or opinion on which books sell best. It’s not that the following books are necessarily selling any better or worse on Amazon. Rather, you will simply have to scan more of the “bad” books and less of the “good” book categories to find profitable “winners”. Ultimately, it comes down efficiency and focusing on the book categories that tend to be more profitable than others. You want to focus on books where you won’t have to scan millions of books just to find one profitable book. This is especially true if you are scanning books at a library sale and facing a lot of competition. But the fact is, any book in any niche can do well on Amazon – it just depends on the book. But what we want to know as booksellers is: which books are better to focus on when scouting books? If some types of books perform better overall, then we can spend our valuable time scouting those first and skipping the types of books that require scanning hundreds of books just to find a single winner. The question of what are the best books to resell on Amazon? – it really depends on who you ask. Different booksellers will have different opinions on this. While some booksellers may say that cookbooks do well for them, other booksellers might say that cookbooks are horrible. In fact, I’ve talked to another local bookseller who said that cookbooks are great for him, yet in my experience, they are just so-so (more hit or miss). But there are definitely some books that you can be pretty confident will be a waste of time scouting (i.e. readers digest). Just remember that oftentimes the type of book (or niche) doesn’t really matter, it just depends on the book! Many of you may be new to selling books online and are curious about the best performing books for your business. Others may be experienced. Regardless of where we are in our experience level, it never hurts to learn more and grow. Even though I’ve been doing this for a long time, I still learn every day. I love to pick other’s minds (that’s why I encourage comments, so we can all learn from each other). You never know when you might find a new tip that will transform your business! There is definitely a component of experience that plays a big role in knowing which books do better on Amazon. But at the end of the day – there is no substitute for a scanner. The experience factor doesn’t really matter when you add a scanner to the equation. You really need a book scanner to know for sure which books are going to return a profit. Though, I’ve gotten to the point where I can literally look at a book and know whether it will be profitable or not. (It’s actually kind of eerie – after many years of experience your brain generally knows what books are going to sell, just by looking at them). More often than not, I can tell if my scanner is going give me a buy signal before I scan the book. But there are plenty of times I’m wrong. I remember one time I didn’t think a book would be worth much and scanned it, it happened to be worth a lot. I ended up selling that book for around $1400 that I bought for $2.00. So books scanners, in my opinion, are critical. I couldn’t sell books without a scanner because my efficiency would plummet. Book scanners come in handy because it tells me the exact data that I need – price and sales rank. The “experience” that I have, becomes a moot point with a scanner. Good Enough condition: What do I mean by “Good enough” condition? Well, with Amazon, even though you can list a book as “Acceptable” you don’t want to list books that are in really bad condition. Amazon buyers expect a certain level of quality. If the book you list is horribly torn, written on, and is in really bad shape, a customer is more likely to get upset and leave a bad review. You really want to protect your review rating and reputation as a seller. This is a big part of your livelihood as a book reseller. When reselling books on Amazon, which niches or types of books should you stay away from? Here are some types of books I tend to stay away. This is mainly because I have to scan a lot more of these types of books to find a book I can resell. Also, the market prices can get driven down too quickly. In general, you can stay away from bestselling books. This advice may sound contradictory, but it’s often true that bestsellers don’t make you much money. It’s simple economics: supply and demand. Even though bestsellers are high demand because they’re a bestseller, the supply is often too high which brings the market price too low. Oftentimes, with best sellers, there are so many used copies of that particular title out there at thrift stores, libraries, etc. Because they were bestsellers, tons and tons of people bought the book, and when they were done with it, they donated them to thrift stores, libraries, etc. So then tons of booksellers list these books on Amazon, which increases the supply too quickly, it lowers the market price (even though there’s still high demand). The increase in supply causes people to compete and lower their prices to try to sell the book more quickly. When you have a lot of sellers trying to compete on price, this is when the prices fall – it drives down the market prices. I’ve had so many instances where I scan a bestseller book and it had a great sales rank paired with a good market price (used priced on Amazon). Then, since there is a time gap of processing it to ship it off to Amazon warehouses – so all of a sudden the price for that book is dramatically lower and all of a sudden I’m losing money on that book. I thought it would give me a decent profit margin but ended up losing money. So just be wary of best seller / best selling author books. Because when books have millions of copies in print there are millions of used copies out there. I will sometimes still list bestseller books, but I just need to make sure the price are high enough to give me a little wiggle room when prices start to decline from an increase in supply. For example, let’s say I buy a bestselling book for a $2 and it’s selling for $11.99 on Amazon. Most likely, this will not give me enough room for profit. The reason is, if the price dips down to $6, I would lose money (using FBA). This is especially the case if you factor in the time it took you to scout for books. You would have to scout a LOT of books to make decent money if your profit margins are razor thin (i.e making $1-2 per book). This is not acceptable for me and I like to at least make $5 per book at the very minimum, if possible. If on the other hand, if it’s a bestseller book and the price is $25, I’m going to be pretty confident that that has some leeway on a downward pressure on price. Even if it went down to $15.99 due to the increase in supply, I’m still doing okay. You really just have to look at the price when debating whether to buy the best seller books. Novels and cheap paperback books are not going to give you much return on investment. Sure you might find a few newer novels that are worth selling, but you will have to scan a lot of books to find these needles in a haystack. The reason why I don’t like novels for selling on Amazon is that there are SO many novels out there. There are just way too many older novels filling large bookshelves of thrift stores and library sales. Let’s say you had to scan 150 novels until you find a 1 profitable book. Compared to non-fiction books, imagine you only had to scan 30 books to find a winner. Of course, you would want to scan the fiction books first. This may not be the reality, it is more just a generality to try to give a comparison to explain why Novels are much more work to scan, and one reason why I stay away from them. So I personally don’t even look at or scan novels unless I’m desperate to find more books (maybe I had a slow day, where I didn’t find as many books as I want). Normally I’ll just scan the nonfiction/specialty books or other categories that I know will do well. Tell me what you think! What has your experience has been? 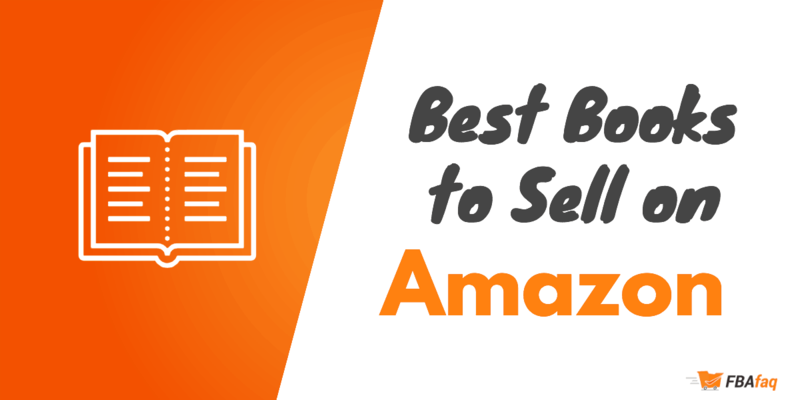 Which types of books sell the best or give you the highest profit selling on Amazon? Which books do you stay away from? The more we can all chime in with our own experiences, the more we can all learn from one another! 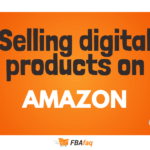 How you can make a full time income selling on amazon? I have old books I want to sell. How would a scanner help me there aren’t any bar codes on most of them? With old books, you would need to manually enter in the ISBN. You can usually find it on the back of the book, on the first few pages or the very end of the book. You can still do this with a book scanner app as they allow you to enter in the ISBN number. Or you can use Amazon.com or Amazon’s free app as well. Most old books without barcodes still have ISBNs, however, there are also a lot of books that don’t have ISBNs, in which case it takes some more work to track down what edition you have. I’m new to the Amazon selling game. After some research I found buying and reselling textbooks an idea people agree on. However I also read (mostly on Amazon own seller central blog) that several books and textbooks in particular are increasingly becoming restricted items for small (and not so small) sellers, a policy that started about a year ago. Looks like it’s still possible to sell some, but restriction is increasing on the most demanded ones. What are your thoughts about how these restrictions affect the business of selling books, and more specifically textbooks, for small time sellers? Yeah that is a good point about the textbook restrictions – it’s definitely not a good thing overall for this business model. However, I don’t think it would make the textbook buying/ reselling model obsolete. Just more hoops to jump through, a little less opportunity, and more risk (if you resell any book with publishers: Pearson Education, Cengage Learning and McGraw Hill Education). I think that all stems from Amazon getting subpoenaed by these 3 large publishers, in an attempt to go after the 3rd party sellers selling counterfeit textbooks. So my advice: stay away from those three publishers because they may be restricted + risky since there is no guarantee that they will be genuine textbooks (non-counterfeit) when buying used at local thrift shops, craigslist, libraries, etc. The overall lesson though is that you should follow the old adage of “don’t put all your eggs in one basket.” This applies to business models and where you sell the textbooks. 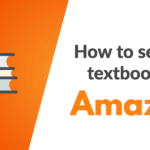 If Amazon restricts certain textbooks, and you are finding good deals locally, you can always sell those restricted ones on eBay and other marketplaces. Just be careful to make 100% sure that the textbooks are not counterfeits. The thing is, once counterfeit textbooks enter the supply, they can end up at used bookstores, thrift stores, etc. So it is kind of risky, especially if selling from those three publishers, as it seems they are actively going after individual sellers. As far as diversifying a business model – in terms of Amazon business models, its best to expand into several methods to diversify your income source. No worries, that was a great question! Glad it helped. What is the Amazon Business Seller Program? 2016 FBAFAQ.com. All rights reserved.